2012 has been mission organization. Thanks to my fabulous hubby for building the frame! You could use an existing frame, but I wanted mine to be big and fit on our bathroom wall by the closet. It’s perfect! The metal radiator grate is from Home Depot (our store had them on an end near the lumber, kind of hidden) The grate is secured with heavy duty Velcro, but glue or frame clips would work too. Note: If you have a bunch of earrings with posts you will need to put the frame on hinges so it swings open like a medicine cabinet door to put the backs on. Mine is mounted to the wall and not easy to get to the back- maybe an upgrade later. Make sure the frame is deep enough so the earring hooks hang properly. 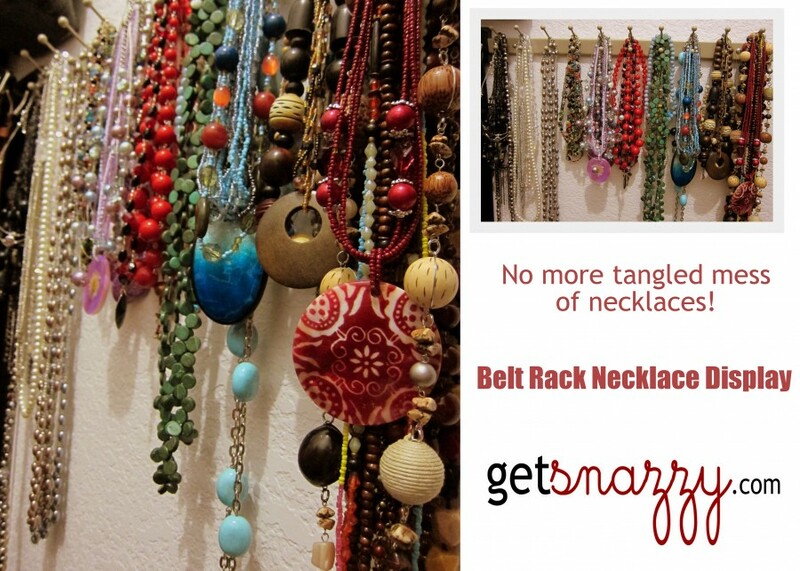 My necklaces are hung on a belt rack in my closet. I did this a few years ago and it’s worked great, they don’t get tangled and I can find what I want to wear very easily! It’s hard to see but each hook is a double hook, so extra space! This is from Ikea (discontinued) they changed the design, now they are plastic with thicker hooks. Grouping by color helps keep me organized! 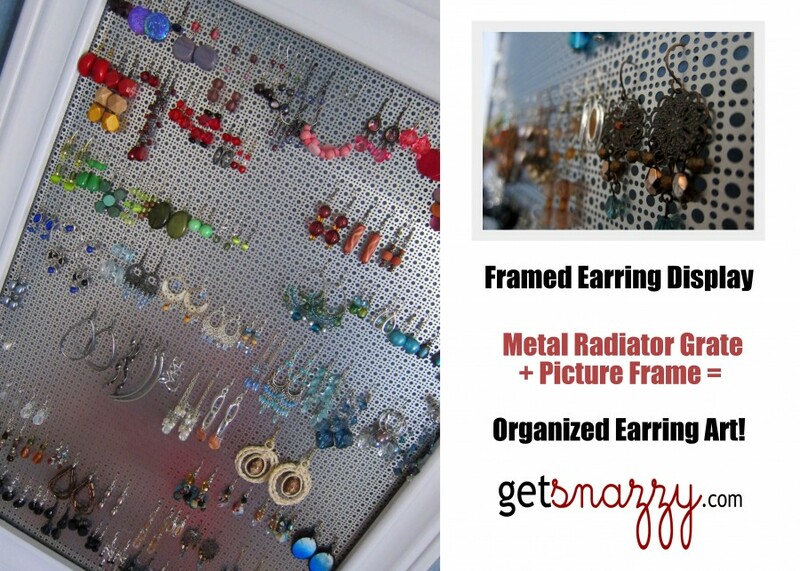 What are your DIY jewelry display solutions? Bracelet organizing next. Any ideas?